A recent addition we created for the Isle of Arran Brewery, this site allows trade customers to order larger deliveries of casks, kegs and cases to be delivered to their premises. The site integrates with stock management systems the brewery already has in place, meaning that customers can never be offered a product which is out of stock, and the system feeds directly into the breweries logistics system, placing orders straight into their normal delivery cycle. 420 Junction is a hydroponics shop based in Irvine, they have a massive range of items available, nutrients, vaporizers, medium and pumps, everything you might possibly need for Hydroponics and Vaporizing. IrvineScotland.info is a community site for the town of Irvine on the West Coast of Scotland. The site integrates with Wikipedia and Flickr, drawing information from both together into one source of information of this historic town. The site also provides support for local businesses with a business directory and event calendar. And supports local projects such as the Irvine Old Parish Churchyard Project, where all the gravestones in the Old Parish Churchyard were photographed and put online, making a searchable database of this historic site. 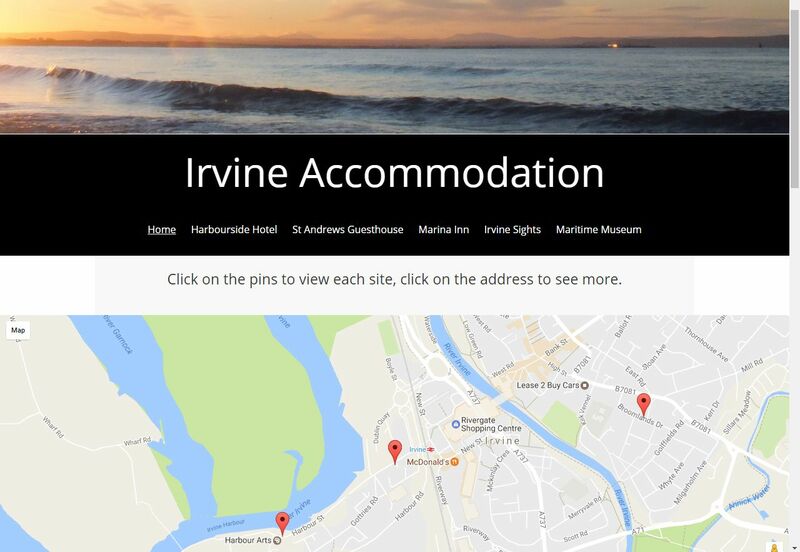 This site was created for the Harbourside Hotel, Marina Inn and St Andrews Guesthouse, creating a site where you could find information and book rooms in all three sites. As well as providing a friendly front page with map links to allow easy location of the three hotels. The site provides panoramic views of each room, and full booking and reservation systems. 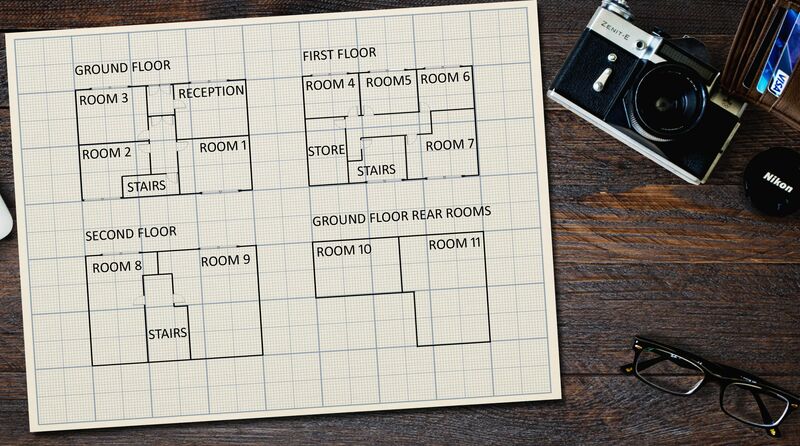 The sites are each viewable as a floorplan/blueprint, allowing visitors to see exactly where within the buildings their room is, so they can easily see whether there are stairs they need to negotiate, whether the rooms are located together (in the event of multiple room bookings), etc. 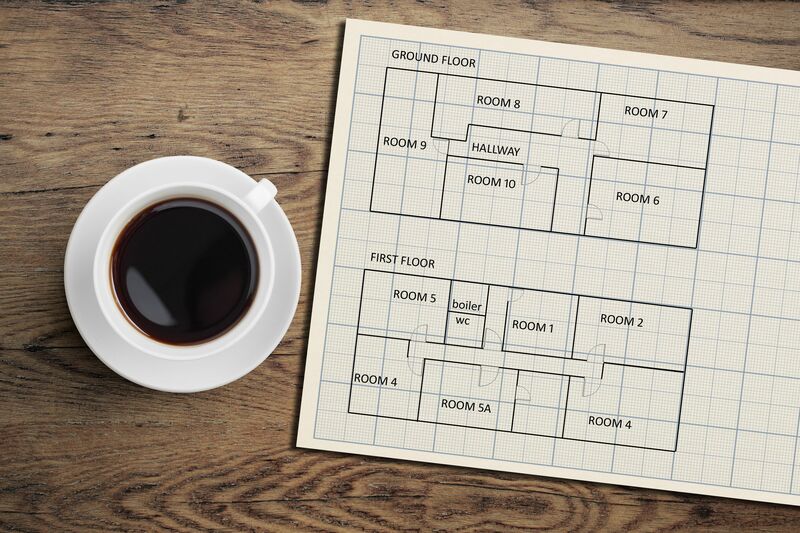 The blueprints were placed into backgrounds to provide a more relaxing ambience to reflect that you will be enjoying your time in one of the Irvine Accommodations. The Isle of Arran Brewery is an Award Winning Brewery on the Isle of Arran off the west coast of Scotland. Their website had to reflect the quality of their products, and uses professional photography, with custom designs done for all of their Ales. The front page of the site is designed to introduce a visitor to the Isle of Arran as well as the Brewery, selling the beers very much as a product of the idyllic place they are produced. The beer selector page was put into place to show the products against a stone wall, portraying the traditional fashion the products are made in. There is mouseover code added to each of the products, bringing it forward as the users mouse loiters over each bottle, displaying it in more detail. As the product range expanded with the addition of Imported Hofbräu Beers, and the opening of Devils Dyke Brewery in Cambridgeshire, the addition of further selectors branded with a world map for the imported range, and with hellish flames for the Devils Dyke Brand, allowed these subsets of the site to show their own distinct presence within the Arran Brewery website. Another custom addition to the Arran Brewery website was a guide to the brewery, for this a blueprint of the Brewery was drawn, and made to look like a blueprint on a wooden table, with mouseover code added, to bring pop up windows up as the user moves their mouse over the various areas of the Brewery, showing photography of each area, and a brief description of what part of the brewing process occurs at that point in the brewery. Other parts of the Brewery site, include a Downloads section, where users can download wallpaper and other imagery they may want, and an awards section, highlighting the many awards that the Arran Brewery has won. At the core of the site is an e-commerce web store, allowing visitors to purchase online directly from the Brewery. Hidden Heart is a site dedicated to upcycling, taking furniture and giving it new life by painting and decorating it. The website is a glimpse into the workshop of Kirsteen MacGregor the owner of Hidden Heart, showing her latest work, and offering the completed pieces of work available to purchase. Yer Maw Brewing is a new Brewery opening in Glasgow, with a rebellious, humourous and street ethos. While far from complete, the website is being designed with the humour from the name, and a graffiti, street design to match their concept - that beer and brewing should be fun. Catherine Hamilton Hats & Fascinators designs bespoke ladies headwear for events such as weddings. The company does beautiful work, so requires a website which reflects the quality and craftsmanship in every piece. We are replacing the current website with a modernised one, better suited to their needs as this business grows. The Loch Earn Brewery is an offshoot of the Isle of Arran Brewery, and as well as being a brewery it is a hotel and visitor centre located on the banks of scenic Loch Earn in the Highlands of Scotland. The website acts as an information source about the Brewery, and has online booking facilities for the hotel.